We exist to dream and to make dreams real by turning real estate dreams into reality. We develop buildings that people are proud of and that are sought after in the community. Our values are the fundamental guiding principles and tenets that define how we do business, approach relationships, and undertake life in general. At MJR we play by the rules – legal, ethical, and moral. We hold no hidden agendas and promote a completely open environment in all of our business dealings. People are our most important asset, and our relationships with them are precious. This includes all of our stakeholders: our employees, our lenders, our tenants, our customers, and our suppliers. We are passionate about what we do, and we do it with out-of-the-box creativity, a positive attitude, and a unique style. Since time is limited, we believe that it’s important to spend our time doing the things we love, with the people we love. Most of all, we like to work hard, play hard, and have fun with everything we pursue. At MJR, we dream about building and build what we dream. We recognize the fact that we are in a unique position to help make the world a better place, a more beautiful place. We accept and embrace the responsibility that this implies and give back to the world through all of our projects. It’s not worth doing if it’s not done right, so we do it right the first time. The process, the people, the result, all done right the first time. Michael J. Raskin founded MJR Development in 1991 and opened his first office in downtown Kirkland. Over the past two decades MJR Development has developed and constructed numerous projects throughout Washington State that have included office, mixed use, retail and, industrial buildings. MJR Development is a full service real estate firm founded on the mission of turning real estate dreams into reality. MJR Development has consistently developed buildings that stakeholders are proud of and that are sought after in the community. Michael holds a BS from the University of Washington in Construction Management and an MBA from Columbia University. He and his wife Susie live in Medina Washington and are raising two wonderful boys Ben and Joey. Michael is also active in the community, having served on the boards of a number of private start-up companies and non-profit organizations. In his free time Michael enjoys windsurfing, skiing, hiking, golf and travel. Mike brings over 15 years of Real Estate Development experience and another 20 years of entrepreneurial experience in building great companies. Mike has been a member of the founding executive team at four local high-tech Puget Sound startups: Talisma, Marketwave, Chronology, and Virtual Vision Corporations. Three of these four companies were acquired, prompting Mike each time to get involved with another venture. Mike joined MJR Development in 2004, after his college roommate (Mike Raskin) convinced him to become his business partner. Mike holds a BS in Electrical Engineering from the University of Washington and an MBA from Stanford University. He specialized in entrepreneurialism, high technology, and real estate. In his spare time Mike likes hiking, skiing, golfing and boating. He is also known to like great Washington State wines. Mark brings over 25 years of real estate experience to MJR Development. After beginning his career in bank-owned real estate, from 1991 through 2004, Mark worked for the State of Washington, Department of General Administration's, Real Estate Services. He held various positions within the Department, including the Manager of Real Estate Services which delivers leasing and acquisition/disposal services to all state agencies, boards, commissions, and educational institutions. Christian brings over 20 years of construction industry experience to MJR. Christian thrives on the day-to-day challenges of development and his passion and energy is evident in the way he leads and mentors. Christian has lead teams at high-visibility projects such as the Bullitt Center (the greenest commercial building in the world), Terry Lander Hall at the University of Washington, Bastyr University Student Housing (11 buildings, 132 units. LEED Platinum), and Madison Lofts Condominiums. Christian is a union certiﬁed journeyman carpenter and holds a Bachelor's of Science Degree in Construction Management from the University of Washington. He also ﬁnds time to guest lecture and grade Capstone projects at the University of Washington Construction Management Department. In his spare time, Christian enjoys spending time with his new family as well as snow skiing in the winter. Shaun holds a Bachelor of Arts in Business Administration – Accounting with a minor in Finance from Washington State University. 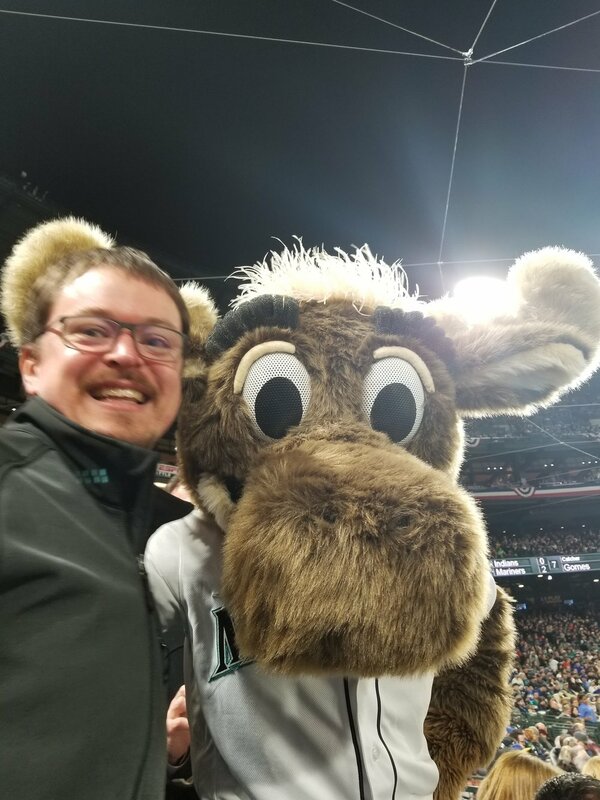 In his spare time, he enjoys spending time with his new family and hanging out with the Mariner Moose. MJR was founded in 1991 by Michael J. Raskin. MJR specializes in adding strategic value to under-utilized real estate through redesign and repositioning. We have an integrated business model with our own in-house finance, construction management, marketing, and property management functions which support office, retail, residential, and industrial property development. MJR has, since its founding, focused on developing quality real estate and operating under the philosophy that real estate dreams can indeed come true. Over our history, we have focused on projects that combine our ability to creatively overcome obstacles while staying within challenging economic boundaries. From 1990 to 1992, MJR managed the development of a number of office buildings for Pacific Development, including two buildings for the State of Washington. Working with the State has remained an important focus for MJR since that day. In 1992 MJR completed a building for Puget Power in Mount Vernon. In 1994, MJR Development completed its first building for the federal government, Creekside Center, located in Poulsbo, Washington. This 42,000 square foot building was leased to the U.S. Government and is the largest building in Poulsbo. With the construction of this building and other State buildings, MJR Development added to its expertise in developing projects for government users. From 1994 to 1998, MJR completed a number of commercial projects and, in 1998, completed Tiara de Lago, its first residential project. Tiara de Lago is now recognized as a premier residential location in downtown Kirkland. This project won the prestigious Master Builders Association Major Achievement in Market Excellence award for the Best Multifamily Floor Plan. By 2000, the MJR portfolio had grown to include build-to-suit projects in retail, residential, office, industrial and mixed-use. The company also continued to grow revenues and employees, adding building management, construction management, and marketing functions. Today, MJR Development is a real-estate development partnership with an extended set of business partners who share a common set of values and a love for real estate projects that are done right. MJR is headquartered in Kirkland, Washington and provides clients in the Puget Sound area with quality real estate options.